Upgrade the memory in your late 2013 Mac Pro with the Apple 32GB 240-Pin DIMM DDR3 PC3-14900 Memory Module Kit from B&H. The four 8GB SDRAM modules have a clock speed of 1866 MHz as well as ECC for error checking and correction. Upgrade the memory in your Mac computer with the Apple 8GB 240-Pin DIMM DDR3 PC3-14900 Memory Module. This 8GB SDRAM module has a clock speed of 1866 MHz. ECC is also on board for error checking and correction. 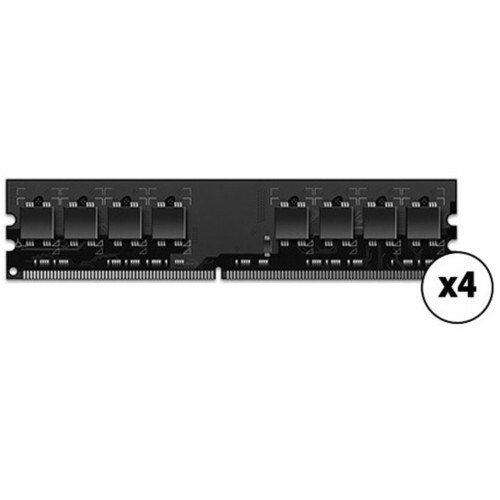 This 240-pin DIMM is compatible with the late 2013 Apple Mac Pro. Box Dimensions (LxWxH) 6.85 x 3.071 x 0.945"